Whether the delicate needlepoint artwork covers the garment entirely or just highlight the neckline, shoulder pads or cuffs ,or cinched waists, embroideries definitely give the outfit a bit of pop. So needless to say, we’re embracing these pretty embellishments to the core. With wedding season just around the corner, we can’t think of an excuse for not to kick-start the season with zari, resham, and cutdana. 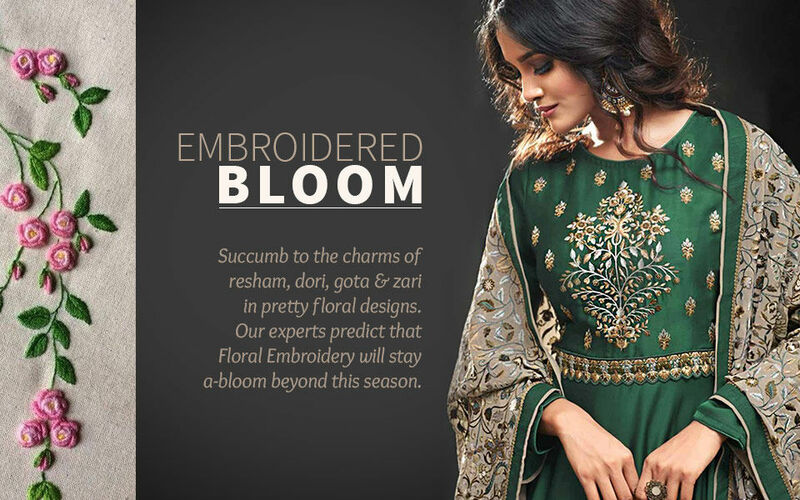 Because the proportionately embroidered ensemble is all you wished for! Yeah - it’s that masterpiece cut into phenomenal silhouettes with embroideries that are beyond extraordinary. At UtsavFashion, we promise there's something to suit everyone, go on click through to see our embroidered picks.